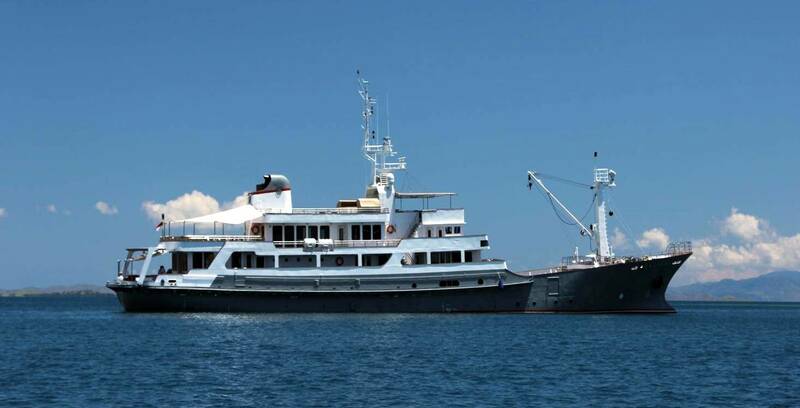 Motor yacht SALILA is a 56.2m (184ft) luxury expedition vessel based in Bali and Indonesia. 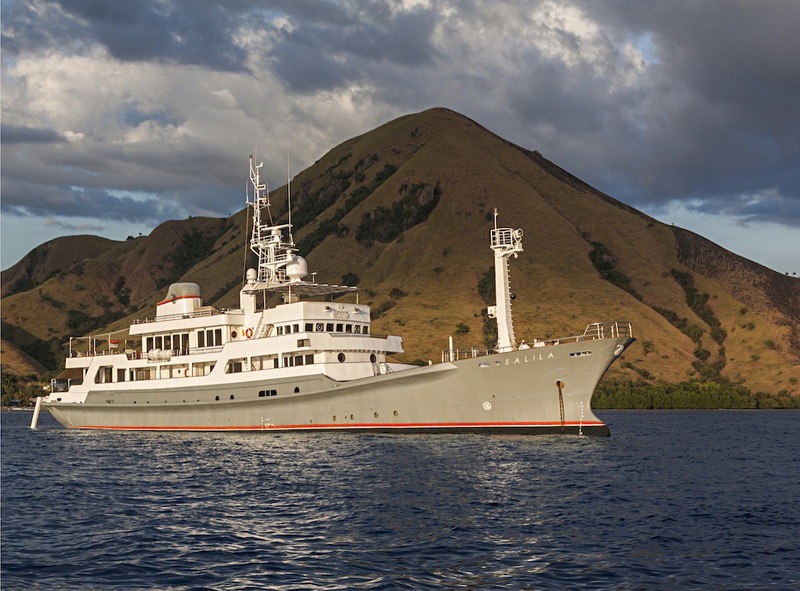 The explorer superyacht SALILA was specifically designed for private charter throughout Indonesia, the world’s largest archipelago in comfort and style. 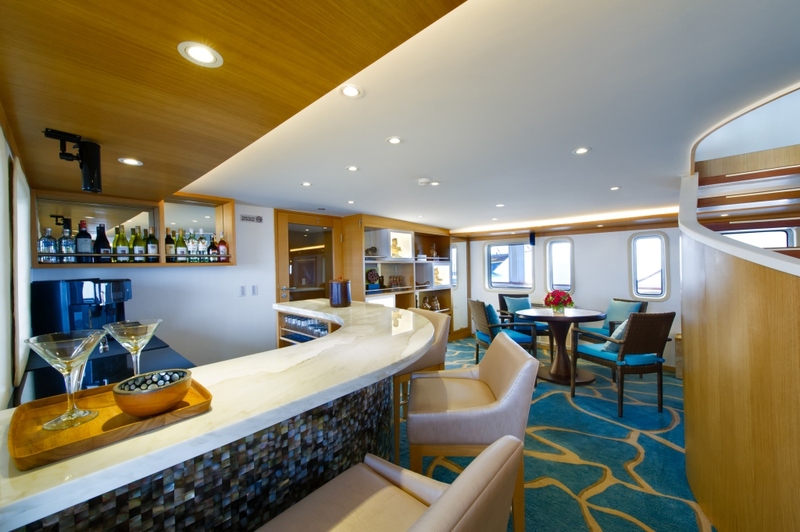 She carries a very comprehensive inventory of equipment for this purpose and is able to accommodate up to 20 charter guests. 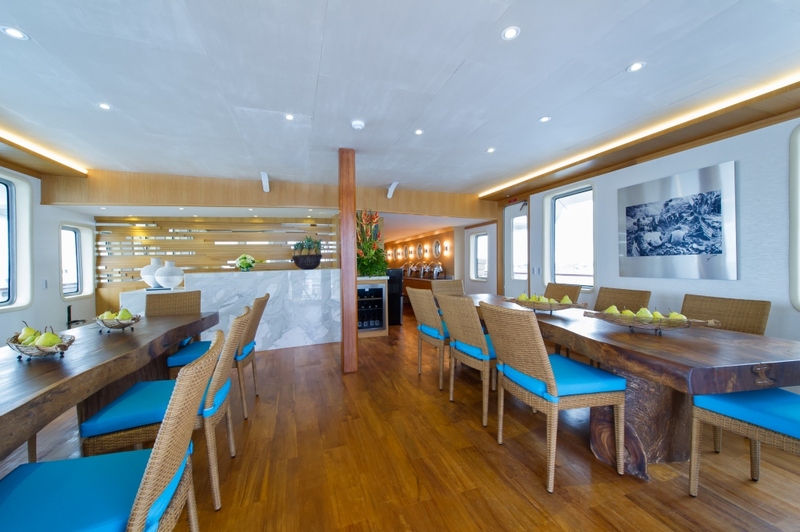 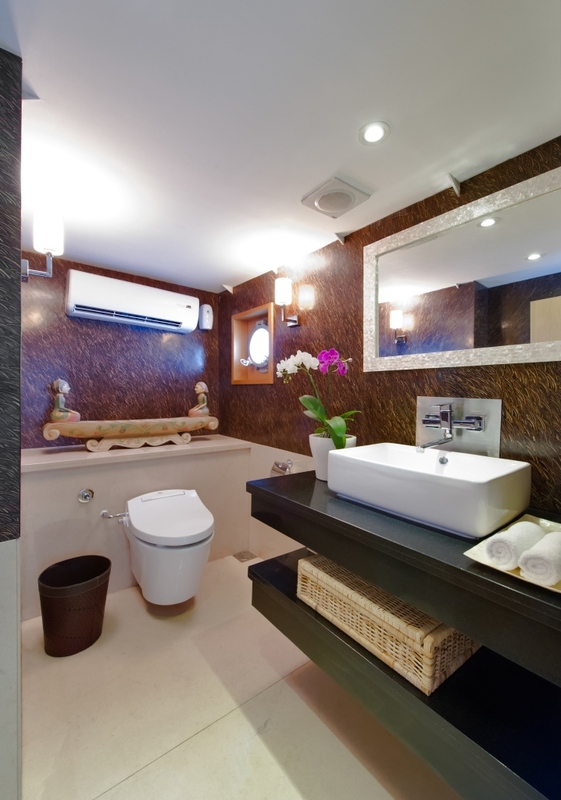 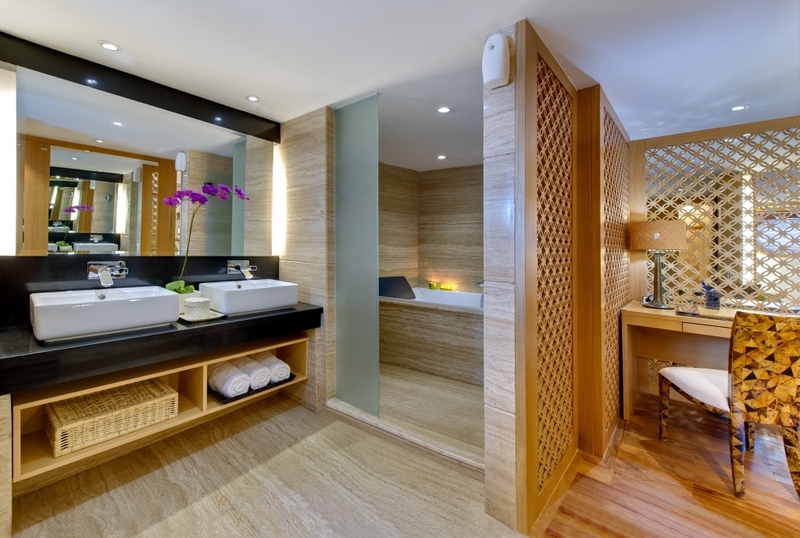 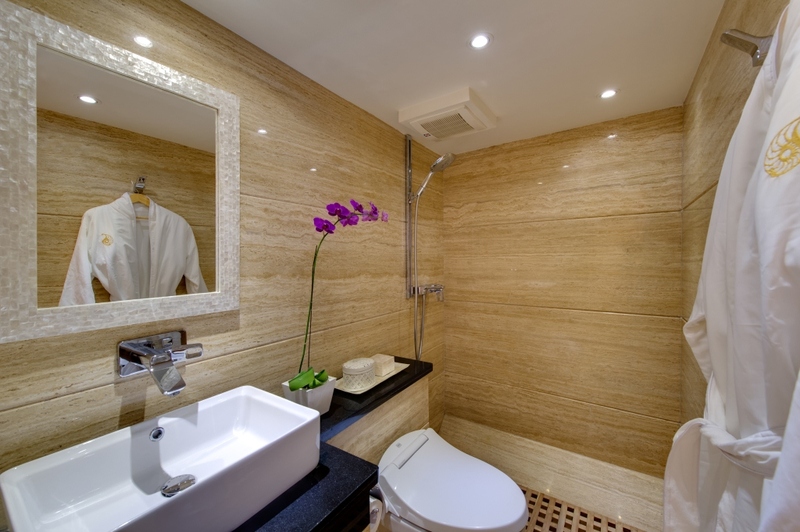 Motor yacht SALILA boasts a unique and harmonious interior design, combining fabulous woods, marble and cream soft furnishings. 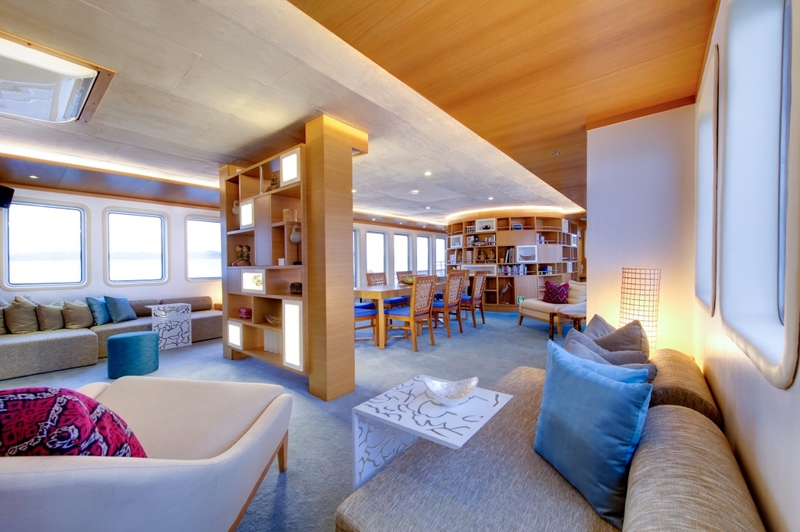 Her interior includes a large dining area, library, study and lounge. 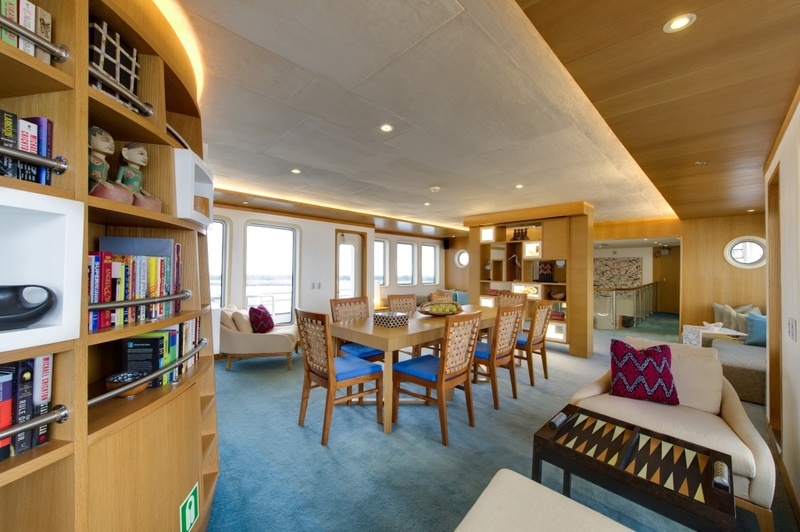 The 58 metre SALILA motor yacht is able to accommodate 20 charter guests in 10 cabins including 2 super luxurious master suites with baths and sea views and a further 4 double and 4 twin guest cabins. 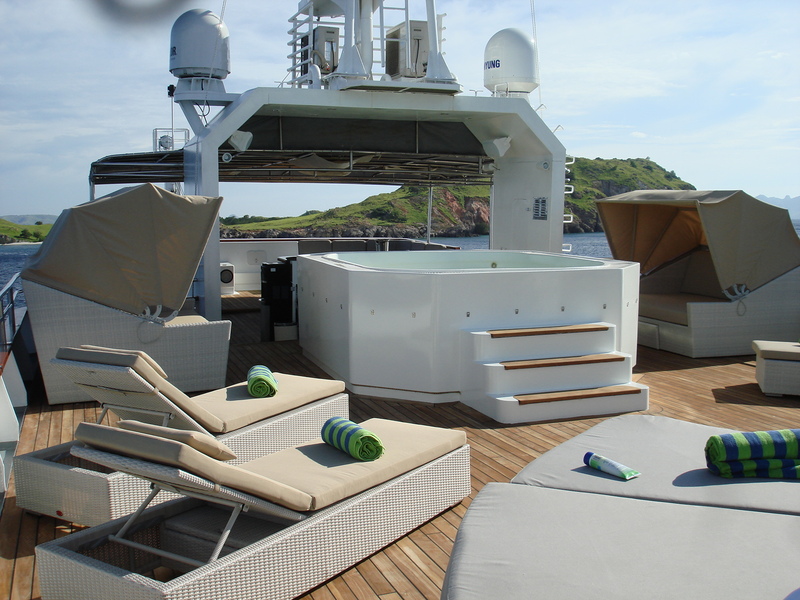 Expedition yacht SALILA spans over five split-level decks with oversize walk-a round’s providing open and shaded sun lounging areas, secluded side pods, sheltered outdoor dining and informal seating areas, complete with a Spa Pool pool and vast sun beds. 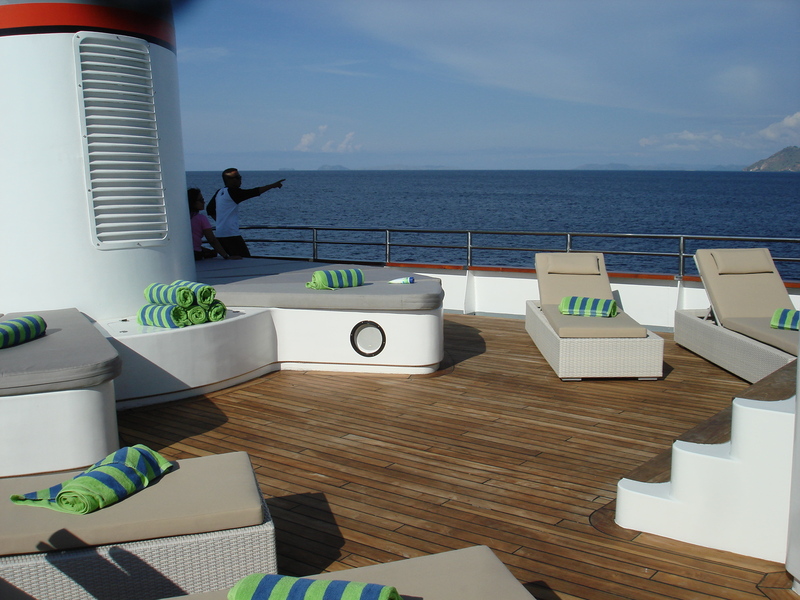 Her impressive volume is further enhanced by a large forward deck area. 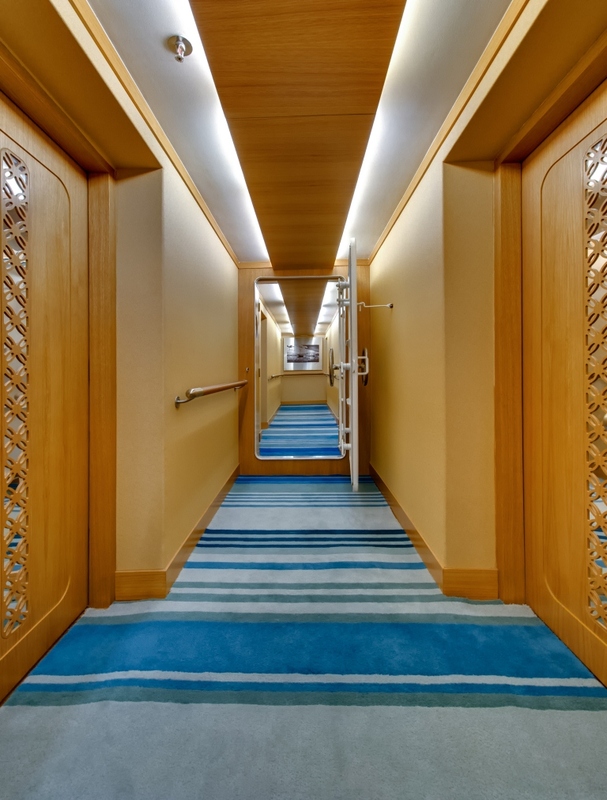 With the extensive indoor and outdoor space on SALILA, there will always be room for guests to find a quiet corner, or socialise in a larger group. 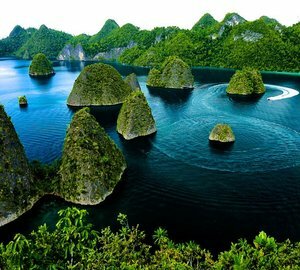 SALILA, the first charter superyacht designed specifically for cruising Indonesia can explore this unique and stunning archipelago which includes some of the most dynamic and varied marine life in the world. 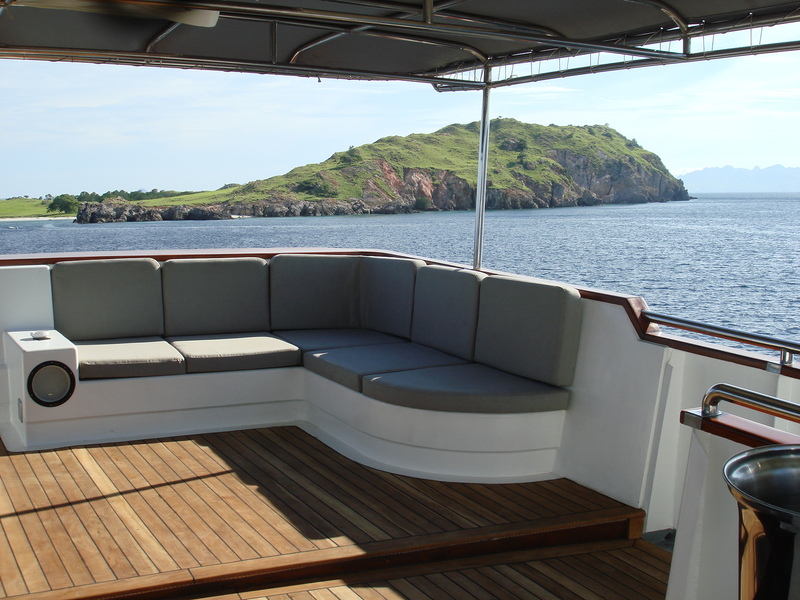 The yacht SALILA is available for charter across all areas of this unique country and charter itineraries can include diving at the best dive sites and extensive land based activities including visiting volcanoes, the Komodo Dragons and remote traditional villages in areas rarely experienced by outsiders. 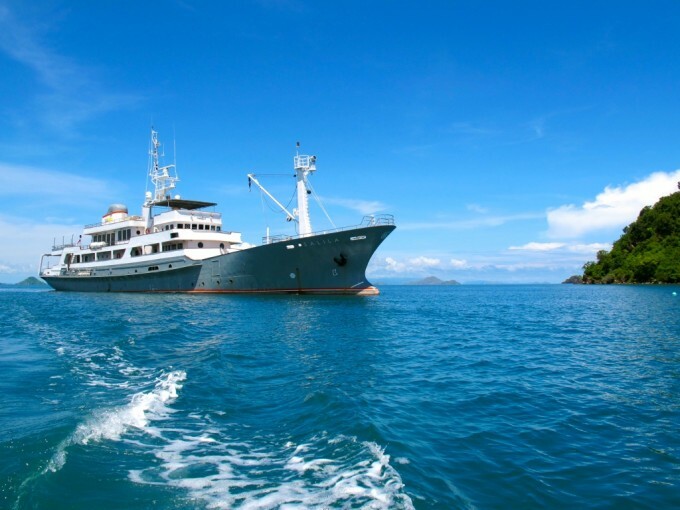 Charter yacht SALILA can store 3 ship’s tenders, a dive shop, 6 kayaks and 6 bicycles to insure a complete list of toys for her charter guests to enjoy in the water and for land based exploration. 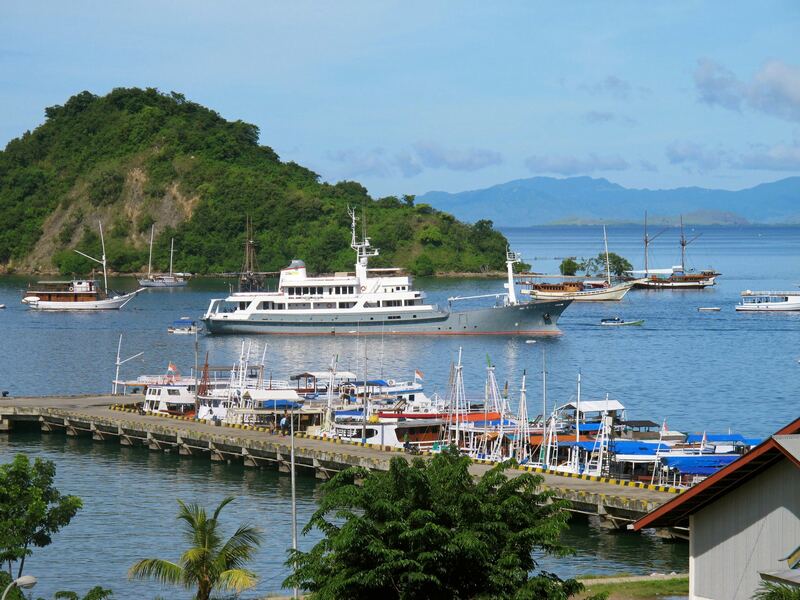 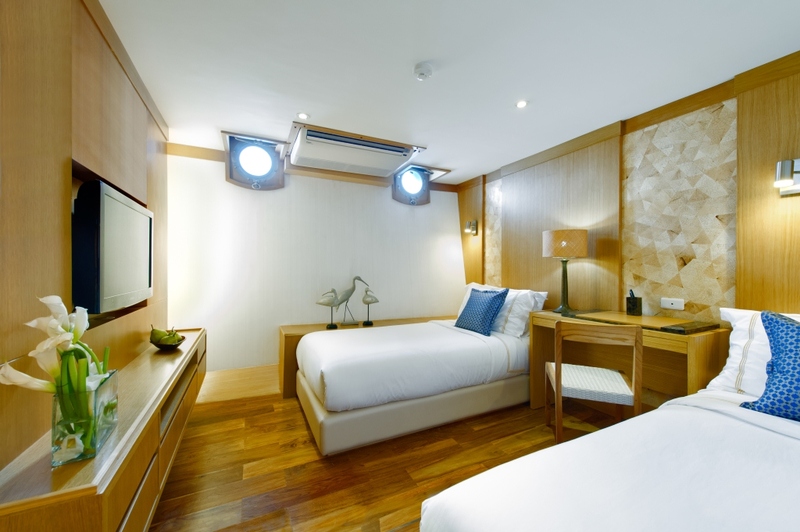 Twenty experienced crew members cater to every need while onboard and the delicious cuisine served can include a mix of superb local Indonesian cuisine and high standard western options. 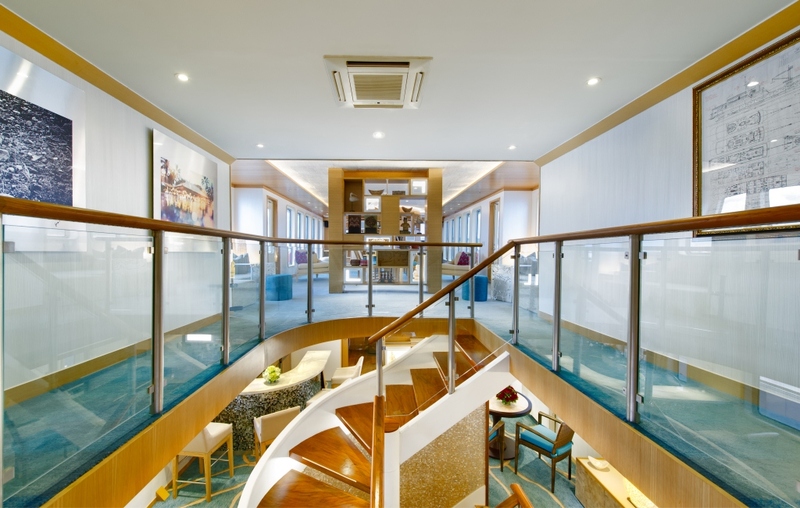 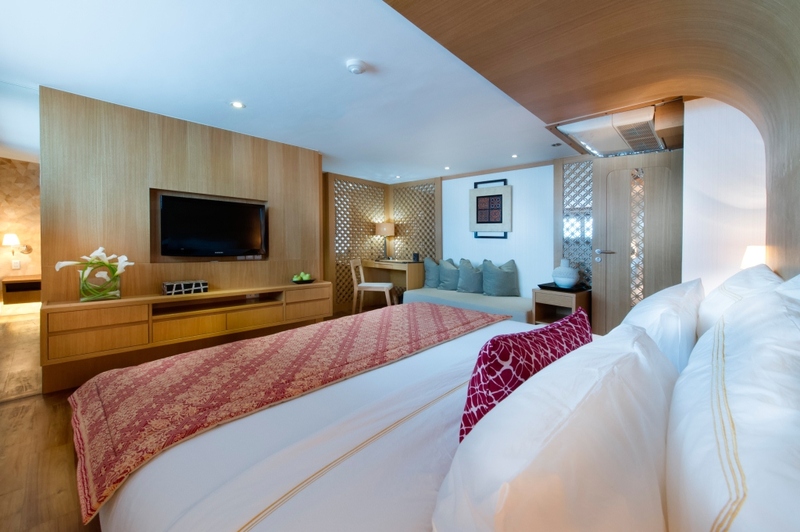 Charter yacht SALILA can accommodate 20 charter guests in 10 cabins including 2 super luxurious master suites with baths and sea views and a further 4 double and 4 twin guest cabins. 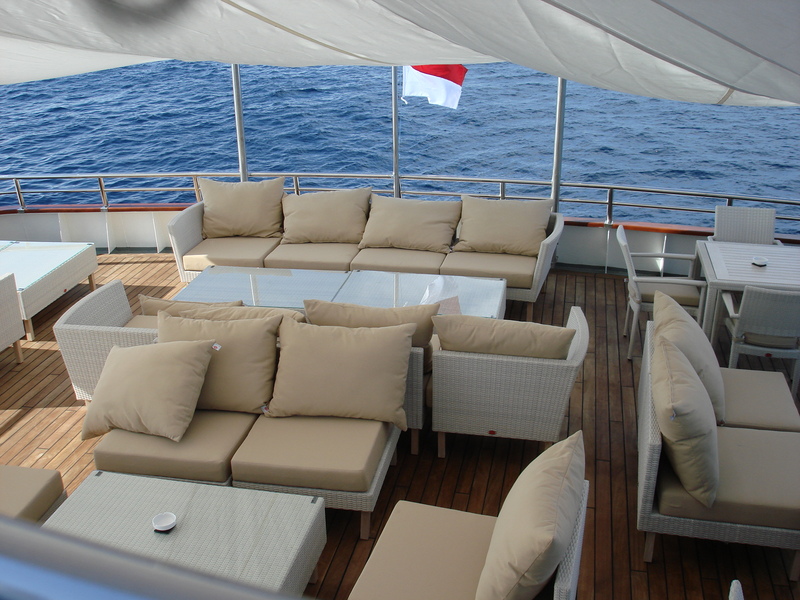 Please contact CharterWorld for a complete list of luxury yacht charter amenities and extras that yacht SALILA carries onboard. 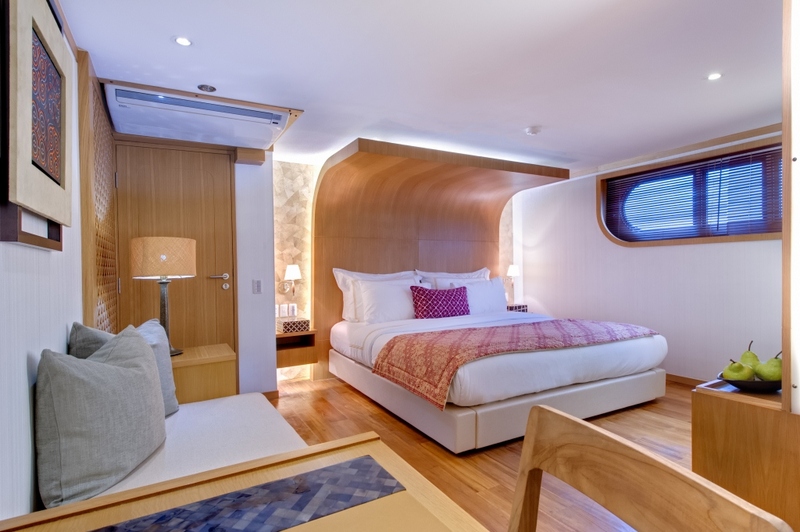 M/Y SALILA is offering a reduced rate during 1 April - 15 May in Indonesia (all inclusive weekly rate of 85,050 USD instead of 94,500 USD).